Most residential properties that want to cover a broad expansion of ground won't need a fence that is the same quality and appearance as a more visually appealing fence. Chain link fencing is inexpensive, quick to install, and secure. Today’s chain link fences come in an assortment of colors. A chain link fence isn’t just the silver color that you typically see. A chain link fence is very economical when covering a considerable area. We have been accustomed to seeing at baseball fields, county fairs, etc. We also have the different coatings as well. Even though green and black are usually the most common, we do offer other colors. Chain link fences need to be constructed with the most robust and resilient materials to keep you safe and protected. Along with this, they must be well installed to endure time and any adverse forces. To ensure satisfaction and strength, we have learned the art of chain link fences to warrant a lifetime of protection. At Knoxville Fence Pros, we know the importance of trusting your fence contractors. If you want a chain link fence for your yard, your commercial work site, or anything in between, we promise that you will be pleased with our long-lasting, durable fencing products. 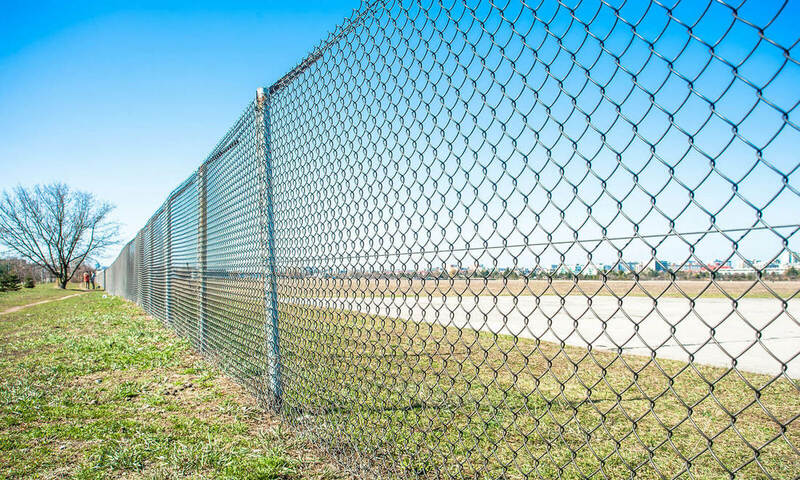 Our chain link fences are built from top-grade materials and professionally installed to protect you and your property. We realize that your peace of mind and safety is of extreme importance. We guarantee to give you the endless reassurance of our fencing services. With years of serving satisfied Knoxville, TN residents, we know that you will love our work as much as we do. Chain link fences have many different applications. You can use chain link fencing for dog runs, security reasons, or sports events. Also, you can use chain link fencing to indicate your property lines. Having chain link brings you all sorts of advantages. We manufacture our chain link fencing with steel. The steel we use is heavyweight, and it won’t break or bend because of adverse weather. Galvanized steel also fights corrosion brought on by precipitation. Additionally, it can be painted to help battle corrosion. Chain link fences get their steadiness from their steel post structure. We can build that structure into a range of shapes. If your chain link fence does get damaged, it’s repairable. 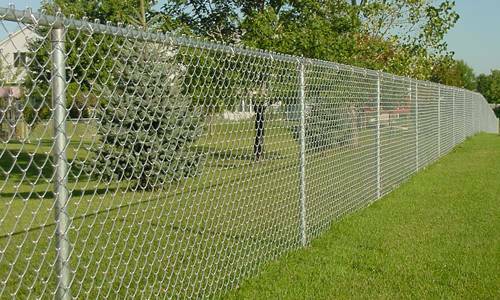 Since a chain link fence is modular, you're capable of replacing sections of your fence when needed. If large blunt forces or vandalism damage your fence, you have many repair options. Just like our vinyl fencing, a chain link fence doesn’t need any maintenance. If your chain link fence gets filthy, take your hose and give it a spray. You can also use soap and water.